This isn't normal — or healthy. 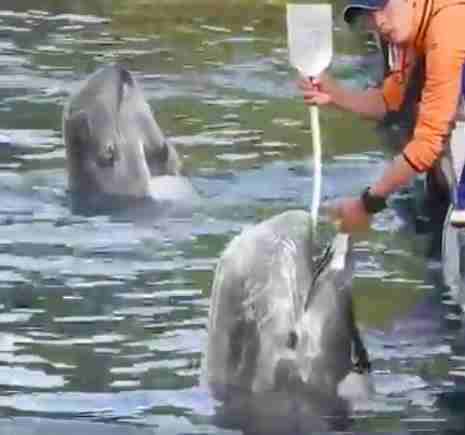 In a new video, a Risso’s dolphin stands upright in an ocean pool as a man siphons water into her stomach with a long plastic tube. The dolphin doesn’t fight it — she remains still for as long as the tube remains in her throat, only dipping below the surface once the tube’s removed. It’s hard to tell what the dolphin is feeling, but she’s probably miserable. In the wild, dolphins don’t need to be given water through a tube — they get all the hydration they need from the fish they eat. But this dolphin lives in captivity at the Taiji Whale Museum in Taiji, Japan, and she doesn’t have the freedom to find her own fish. Instead, she has to rely on handouts of frozen fish. When defrosted, frozen fish loses most of its water, which is why the dolphins need this extra hydration. While the tubing process itself wouldn’t necessarily hurt the dolphin, Heather Rally, a marine mammal veterinarian who currently works with the PETA Foundation, explained that the dolphin definitely wouldn’t like it. But if the dolphin didn’t get this extra hydration, she could face other health issues. “If dolphins don't consume enough water to maintain a healthy hydration status, they would become dehydrated — and ultimately, if dehydration progresses and isn't corrected, this can lead to hypovolemic shock, multi-organ failure and death,” Rally said. 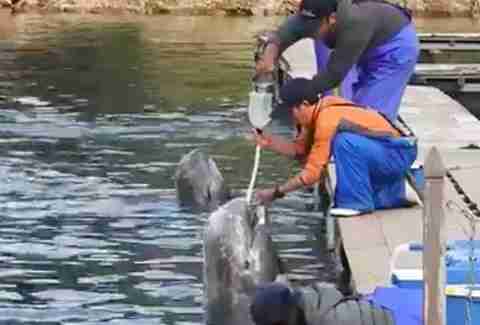 But it’s not just dehydration that’s dangerous to the dolphin — it’s captivity itself. “While dehydration can be treated through artificial means like intubation or supplementing an animal's diet with ice cubes or gelatin, captivity is hard on marine mammals and has a documented negative impact on their longevity and quality of life,” Rally said. This dolphin was almost certainly captured from the wild during one of the dolphin drive hunts that take place each year off the coast of Taiji, Japan. 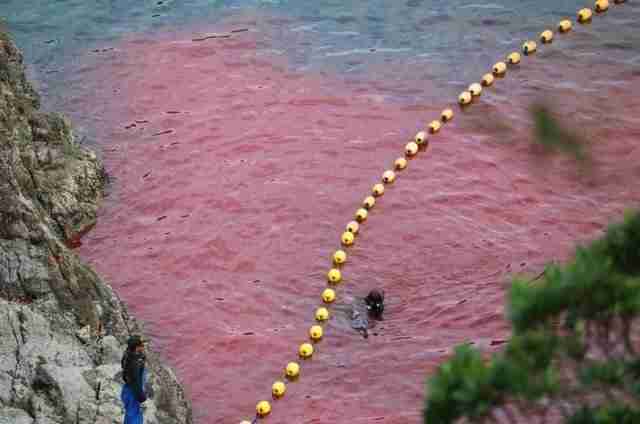 Each year, fishermen in Taiji drive boats out into the open ocean to locate pods of wild dolphins. 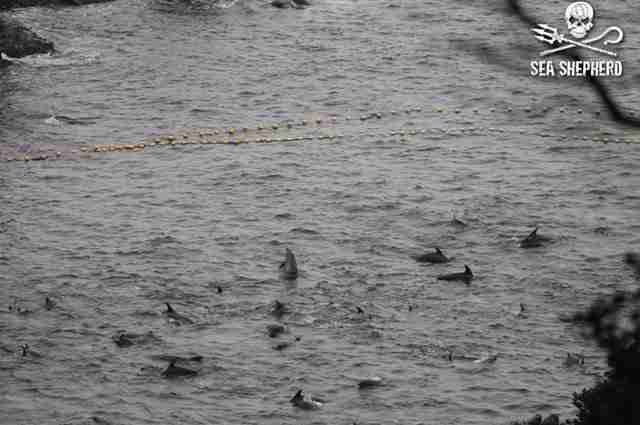 Then the fishermen bang metal poles against their hulls to create “walls of sound” that prevent the dolphins from swimming away. Once the fishermen have rounded up the dolphins, they drive them into a nearby cove and slaughter them for their meat, often right in front of their family members. But before the killing happens, people choose the most attractive dolphins to sell to dolphinariums and swim-with-the-dolphins programs around the world. “Some live captures may be transported to other facilities, but this one was placed at the Taiji Whale Museum,” Christine Gau, program coordinator for Ric O’Barry’s Dolphin Project, told The Dodo. 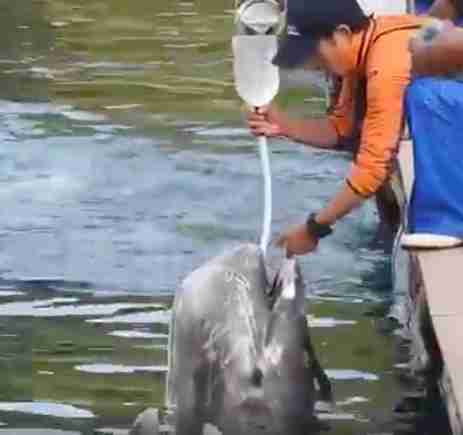 While it may be too late to help this Risso’s dolphin, animal welfare advocates hope to stop the dolphin slaughter in Taiji for good. The best way to fight this issue is to not buy a ticket to dolphin shows, according to Gau. “Captive cetaceans like this Risso’s dolphin can only be saved if international demand for captive entertainment ends,” she said. To help stop the capture and slaughter of dolphins in Taiji, Japan, you can make a donation to Ric O’Barry’s Dolphin Project.